The SME Policy Index is a benchmarking tool designed for emerging economies to assess SME policy frameworks and monitor progress in policy implementation over time. The Index has been developed by the OECD in partnership with the European Commission (EC), the European Bank for Reconstruction and Development (EBRD), and the European Training Foundation (ETF) in 2006 for the Western Balkans. The South East European Centre for Entrepreneurial Learning (SEECEL) joined as an additional partner in 2014. 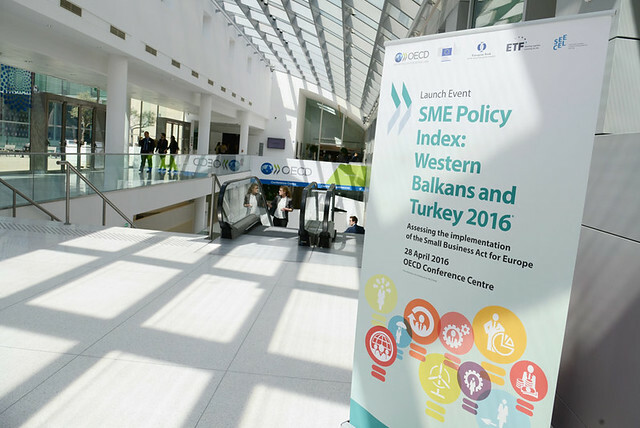 The SME Policy Index has since 2006 been applied in four regions and nine assessment rounds overall. 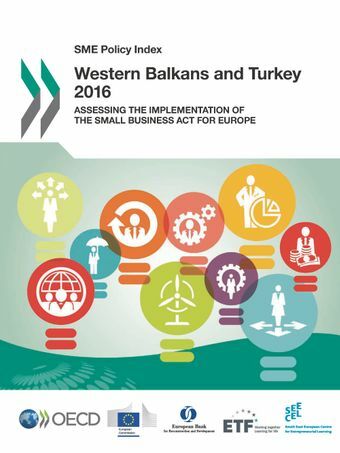 The SME Policy Index: Western Balkans and Turkey 2016 presents the results of the fourth assessment of the Small Business Act for Europe in the Western Balkans and, since 2012, Turkey. The assessment framework is structured around the ten principles of the Small Business Act for Europe (SBA). It provides a wide-range of pro-enterprise measures to guide the design and implementation of SME policies based on good practices promoted by the EU and the OECD. The Index identifies strengths and weaknesses in policy design, implementation and monitoring. It allows for comparison across countries and measures convergence towards good practices and relevant policy standards. It aims to support governments in setting targets for SME policy development and to identify strategic priorities to further improve the business environment. It also helps to engage governments in policy dialogue and exchange good practices within the region and with OECD and EU members. The launch of the SME Policy Index: Western Balkans and Turkey 2016 was organised by the OECD South East Europe Regional Programme in co-operation with the European Commission, the European Bank for reconstruction and Development (EBRD), the European Training Foundation (ETF) and the South East European Centre for Entrepreneurial Learning (SEECEL). WHAT ARE THE SBA ASSESSMENT AND THE SME POLICY INDEX? The SBA Assessment monitors the progress in the implementation of the ten principles of the Small Business Act for Europe and measures convergence towards EU practices and standards. The dedicated methodology – the SME Policy Index – was specifically developed by the partner organisations in 2006 in order to apply the SBA in EU pre-accession economies. The index identifies strengths and weaknesses in policy design, implementation, monitoring and evaluation; allows for comparison across countries; and measures convergence towards EU SME policy standards. The purpose of the SBA Assessment is to improve SME policy-making in partner countries and to enhance the capacity of policy-makers, as well as to improve the business environment "on the ground" and to foster entrepreneurship and competitiveness. It aims to support governments in setting targets for SME policy developments and strategic priorities to further improve their business environments. It also engages governments in policy dialogue and facilitates the exchange of experiences within the region and with the partner organisations. For more information, please contact Anita Richter.